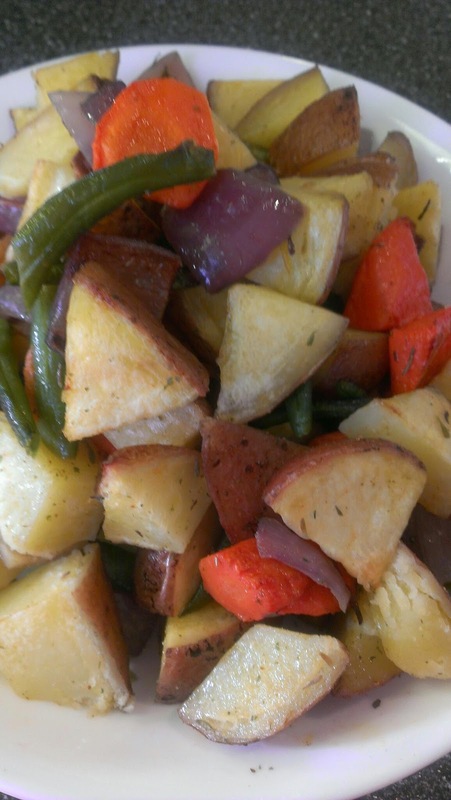 One of the easiest sides to serve with mostly any meat entree. Great combination for roasting or grilling, when grilling it is best to use a mesh basket. To season this type of vegetables just mince your favorite herbs (2 or 3) and combine them with a coarse sea salt, a combination of sea salt and herbs is welcome but if only one herb is used it's okay as well. 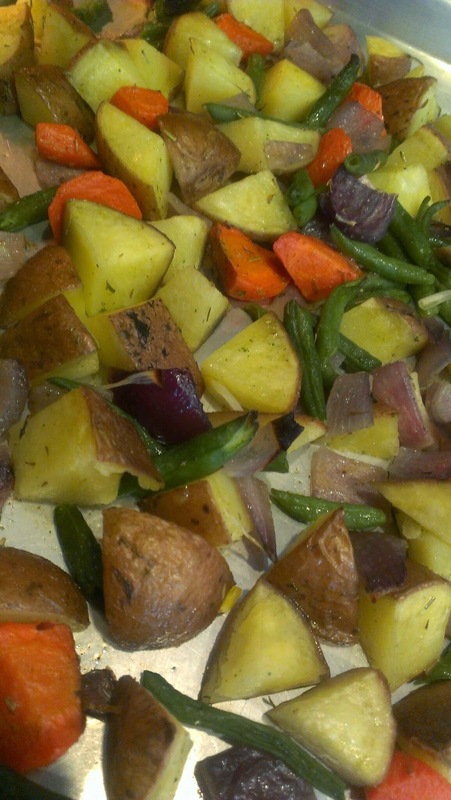 A word about the Roasting Technic, if you want to roast vegetables it is better to use a high temperature like 400*F or 450*F, also do not overwhelm the sheet pan being used because the vegetables will sweat and became mushy. It is also good to know that not all the vegetables cook at the same time, some are harder to cook than others. To be able to cook all the vegetables at the same time just prep each vegetable individually with other cooking techniques, like parboiling. When all the vegetables are prepped accordingly, toss them together with a little oil and spread them in your sheet pan. Take them to the already heated oven until they get a nice roasted color. Cool the ingredients, toss them with olive oil and your chosen herbs, I did fresh Rosemary and parsley. Take to the oven, roast until they get a nice roasted color. When they come out of the oven, sprinkle with sea salt and transfer to serving platter. What Else Could You Use! to choose vegetables for roasting, always keep in mind what is on season, not only because is the best around but also because it will mean that is a local product, as a general rule the less your food travel before it gets too you, the better it is !!! You can add or change as you wish.